We're thrilled to announce that this Amazon bestseller is also a B.R.A.G. Medallion winner! After suddenly receiving custody of his five year old son, Ben must learn how to be a dad. The fact that he'd even fathered a child was news to him. Not only does this mean restructuring his sixty-hour workweek and becoming responsible for another human being, but also Kyle has autism. Enter the school system and a shaky beginning. Under the guidance of a gifted teacher, Ben and Kyle take tentative steps to becoming father and son. Teacher Melanie Nicols sees Ben as a deadbeat dad, but grudgingly comes to admire how he hangs in, determined to learn for his son’s sake. Her admiration grows to more as father and son come to rely on Melanie being a part of their lives. When parents receive the news that their child has autism, they spend countless hours researching the subject, usually at night, after an exhausting day. Teachers, when they hear that they'll have a student with an autism spectrum disorder, also try to learn as much as they can. This novel was written for such parents and teachers - an entertaining read that offers information on autism and strategies that work. -Entertains, entrances & educates: 3 for the Price of One! 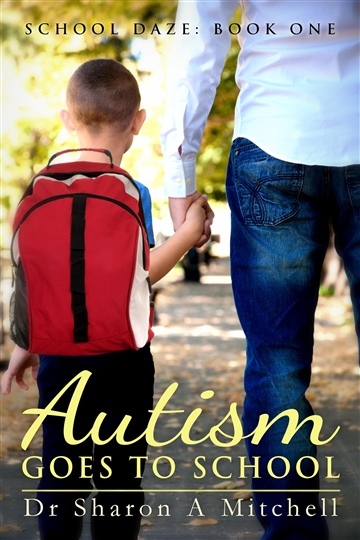 - This wonderful book is about a Dad, Ben, meeting his autistic son Kyle for the very first time, when Mom dumps him suddenly on his doorstep, saying she can no longer take care of him. Through the eyes of Ben, we get a glimpse of both the challenges and joys of being a parent of a child who sees the world in different ways. - Unlike some stories that speak of autistic children, this one brings a wealth of hope and information! As we look over Ben's shoulder, we see a glimpse of the learning tools currently being used in the classroom today, and we get glimpses of things that could be helpful in the day to day life of an autistic child. - I appreciated this story on several levels. First I enjoyed the story of Ben discovering what it means to be a parent, especially a single parent. Second, I enjoyed watching Kyle find his own means of success in this new and upside down world. - I enjoyed the glimpse into classroom life and options available today. Finally I enjoyed the quiet romance between Mel and Ben.